Raccoon with Mushroom Toadstool For Gypsy Fairy Gardens. 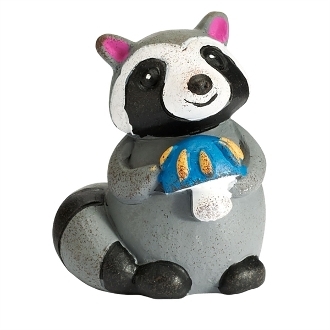 Full Description: This adorable raccoon, designed by artist Genevieve Gail, will be right at home in your mini enchanted forest garden. Made of resin and features hand-painted details with all-weather paint.